The Nash Tennis Academy offers a multitude of courses and training programs to fit your needs. No matter what shape you or your tennis is in, try working out with Nash. Private, semi-private, group and junior lessons are available for all age groups. Send us an email for details and rates. 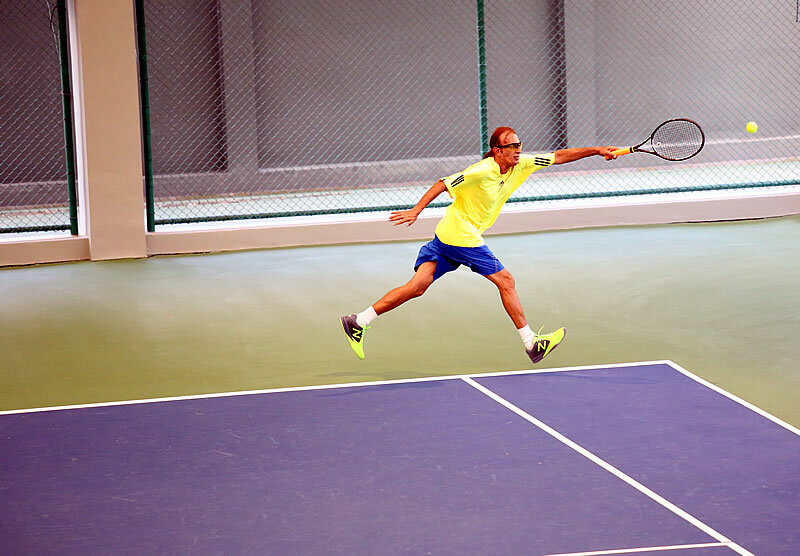 Most tennis players know the importance of a warm-up in the prevention of injuries. What many may not appreciate is that the warm-up can actually improve their game, particularly at the start of the match. 1) Five to ten minutes of light activity such as jogging around the court, stride jumps, or easy ground-strokes, is enough to increase your heart and respiratory rate. Your adrenaline starts to flow, and increased blood flow supplies essential oxygen to working tissues (muscles, tendons etc). After this initial stage of the warm-up, you should be sweating lightly but not out of breath. 2) When you’re warm it’s a good time to begin stretching exercises. Spend 10 minutes improving the flexibility of your legs, shoulders and spine. Hold stretches for 10 to 15 seconds and don’t bounce. If you are stretching a calf muscle for example, you should feel a moderate to strong pull in that area. The stretch should be painless during and after it is performed. Muscles, tendons, and ligaments that are prepared for the stresses of a tennis match are less likely to be damaged. 3) Finally, you are ready for sport-specific exercises. All the various strokes of tennis should be practiced, particularly the serve and overhead, as these put tremendous strain on your shoulders and spine. Start slowly with ground-strokes, mixing up forehands and backhands. Move to the net to work on your volleys and finish with the stressful overheads and serves. As your warm-up progresses you can gradually increase the intensity of the strokes. Be sure to keep your feet moving and practice backward, forward, and lateral movement on the court. If you follow these three steps, you won’t be immune from injury. You will, however, be physically and mentally prepared for the first serve, and that will go a long way to improving your game.